Preventative dentistry procedures encompass several routine dental services. Dr. Hubbard and his dental team’s goal is to minimize your need for extensive restorative or cosmetic dentistry measures. General Dentistry can help prevent poor oral health due to decay and disease — which can ultimately lead to a decline in your overall health. Our use of white composite fillings will seamlessly repair early tooth decay. If you have experienced trauma to your mouth or teeth from an accident, or if you suffer from long-term progressive tooth damage, our family and cosmetic Lansing dentists – Dr. Gary Hubbard, can help restore your smile. At Great Lakes Family Dental Group, our gentle professional cleanings will help preserve your teeth and gums. Many of our patients visit us one or two times annually. Routine professional cleanings can help to minimize the risk of tooth decay. Early detection and restoration will minimize the need for more expensive and extensive procedures if they are neglected. If you have not scheduled your next professional cleaning, contact us today and avoid the cost and inconvenience of extensive dental restorations. In order to maintain a healthy smile, we complete a comprehensive examination of your overall oral health. We provide you with a written assessment and recommendations of our findings and treatment recommendations. Routine digital x-rays will help us monitor the condition of your teeth and identify early signs of decay. Our comprehensive examination will assess the condition of your gums and their position around your teeth. Early detection of periodontal disease can save your smile. We will develop an examination schedule that matches your oral health requirements. Thanks to advanced technology, several dental filling materials are available. Teeth can be filled with gold, porcelain, silver amalgam fillings or tooth-colored composite fillings constructed from glass and resin. Today, most of our restorative solutions are tooth colored due to the improved appearance and the increased strength imparted to the remaining tooth. However, the location, extent of decay, cost , your insurance coverage and personal preference are all factors to consider in choosing filling materials. Our dental assessment will assist in determining whether an amalgam filling or a tooth-colored composite filling will best address your needs. Our office policy is to see true emergencies on a same day basis. Should you experience an accident or develop a toothache we will do our best to attend to your needs that same day. Dental infections are serious and can be life threatening. Don’t suffer through the pain — contact our East Lansing dentist office immediately for emergency dentistry services. We advise you to call in these situations early in the day if at all possible, this gives us much more latitude to effectively help you. Scientific studies have shown that approximately 25 percent to 50 percent of patients with OSA are unable to comply with Continuous Positive Airway Pressure (CPAP), the standard treatment therapy, or do not tolerate it, leaving a large number of OSA patients that dentists can help with OAT. Read more about sleep apnea and snoring devices here. VELscope® Vx technology is changing the way oral mucosal examinations take place. The VELscope® Vx handheld device emits a harmless, bright blue light which is used to inspect the mouth and tongue. Read more about VELscope® oral cancer screenings here. Putting your dental health in the hands of Lansing family dentists, Dr. Gary Hubbard and B. Curtis Neal D.D.S, is an important decision. 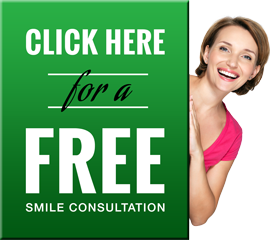 You can be assured that you will receive the most dependable, comfortable, and quality dental care available. To learn more about East Lansing dentist Dr. Gary R. Hubbard, or any of the high-quality preventative dental services we offer, please contact us here or call us directly at 517.332.2422.